This is an excellent recipes which may end the search for a light and flavourful tart with a thick and creamy filling and paper thin crust! Serve slightly warm or cold. Be sure to also try Carolié’s easy Quick Baked Milk Tart, which is a crustless version of this South African favourite. Preheat the oven to 200 °C and grease a large pie dish (26 cm x 5 cm) or 28 cm x 3 cm or two smaller pie plates (22 cm x 2.5 cm with non-stick cooking spray. Place the ingredients for the crust in a bowl and mix by hand until a smooth, soft dough is formed. If using two small pie dishes, divide the pastry in half and press the pastry into the two smaller dishes. If using a medium or large pie dish, press the pastry onto the base and up the sides of the dish. Refrigerate the dish(es) while you prepare the filling. To make the filling, heat 750 ml of the milk with the cinnamon stick to boiling point. Mix the remainder of the milk with the cake flour to form a smooth paste. When the milk starts to boil,mix a little of the hot milk with the paste and return to the saucepan. Bring it to a boil over moderate heat while stirring with a wire whisk until a smooth thick sauce is obtained and simmer gently for 2 minutes. Remove from heat and beat in the salt, butter, sugar and flavouring. Beat the egg yolks, beat in a little of the hot sauce, return to the saucepan, mix well and allow to cool – do not cook any further, the eggs should cook and set in the oven. Beat the egg whites until soft peaks form, add to the cooled sauce and mix gently until evenly blended. 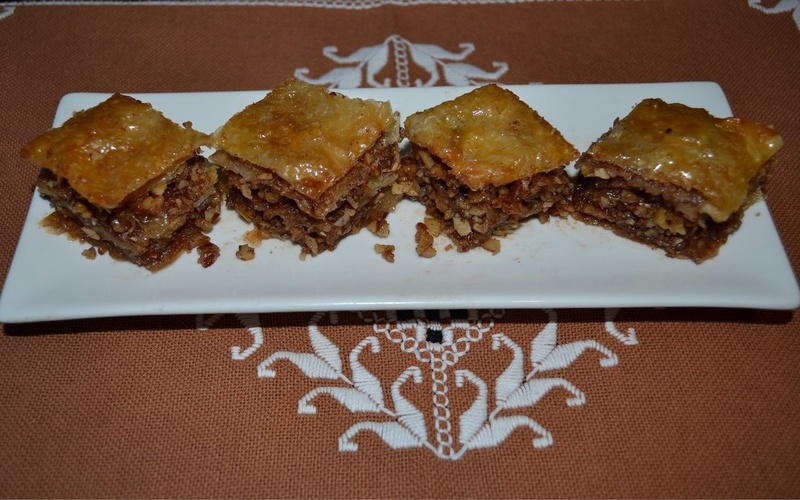 Divide the filling evenly between the two dishes or pour it into the medium or large dish. Do not overfill the dishes! Sprinkle with a little ground cinnamon. Bake the milk tart for about 12 minutes for the small pie dishes and 15 to 18 minutes for the large tart or until set, well-risen and a golden colour. It should not be completely set. Switch off the oven, place a wooden spoon in the oven door and leave the tart(s) in the oven for a further 10 minutes to cool and set gradually. Allow to cool and set before cutting into wedges. This awesome puff pastry Christmas tree will definitely let compliments stream in! It is easier to make than you might think, just follow the step-by-step instructions below. 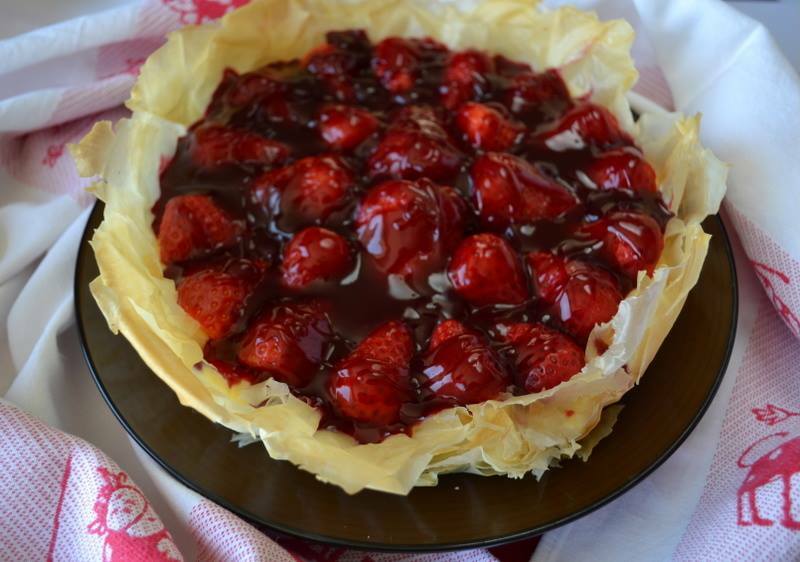 It can be made with a sweet and savoury filling. The filling is sandwiched between two layers of puff pasty, scored in all the right places, and twisted to form tree branches. Open the packets of pastry and unroll them on Wizbake baking sheets or on baking paper. Sprinkle a little cake flour on a rolling pin and roll each pastry sheet once in each direction to make it a little bigger. It is important that the sheets are the same size. Work with the first sheet of pastry and score a rough shape of a Christmas tree (narrow triangle) with a table knife. Make the base of the triangle as wide as possible. Spread the filling evenly onto the sheet of pastry in the triangle area.. Carefully place the 2nd sheet of puff pastry on top with the aid of the Wizbake sheet. Use a table knife and cut out the Christmas tree shape. When cutting, use a pressing instead of a pulling action and be sure to cut through both layers of pastry. Remember to cut out a stem as well. Start at the side closest to the stem and make horizontal cuts for the branches. Leave about 2 cm down the middle of the tree. Beginning at the base, twist the pastry away from you, trying to get in two turns on the lower branches. Continue moving up the tree, twisting away from you. At the top of the tree you may only get a single twist in the top branches. Cut out a star from the trimmed pastry and place on the baking tray. Slip a baking tray under the Wizbake sheet and bake for 12 to 15 minutes, or until risen and golden brown. If you want to serve right away, allow to cool for a few minutes then slide egg lifters under the tree and transfer it to a serving plate. 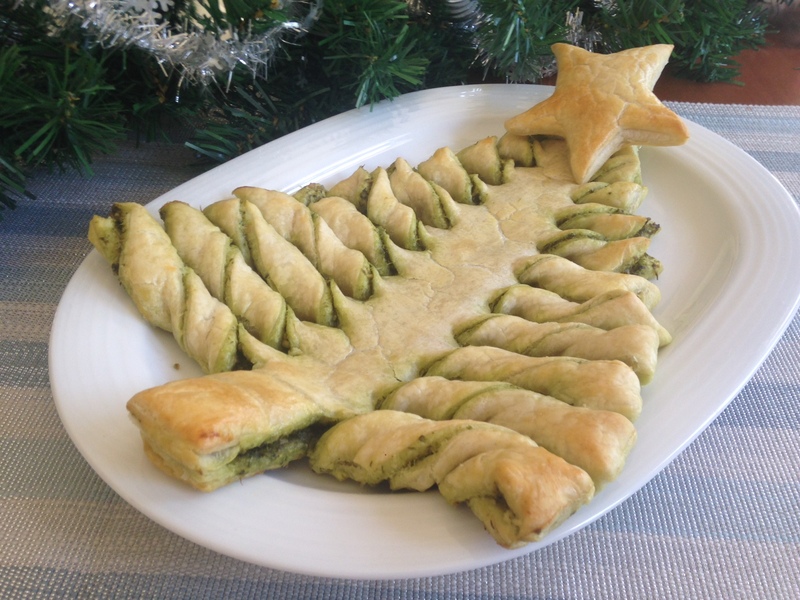 If making the basil pesto Christmas tree, brush the warm puff pastry with melted butter and sprinkle with grated Parmesan cheese. If making the chocolate Christmas tree, dust it with icing sugar. Milk tart is a South African favourite with many variations! 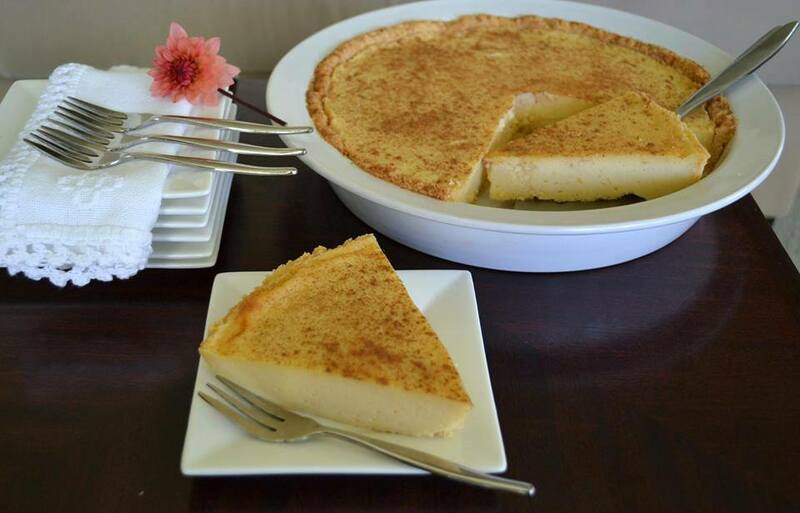 Milk and eggs make milk tart a healthy dessert or coffee or tea time treat for young and old! 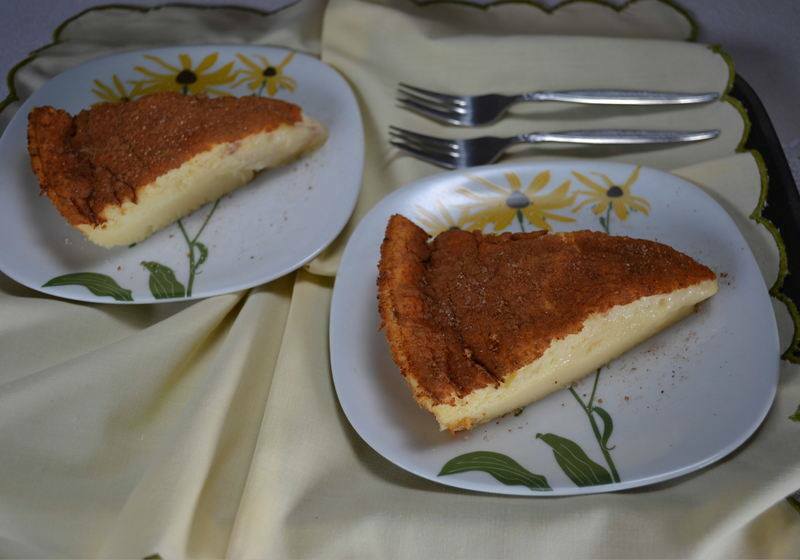 Be sure to also try Carolié’s authentic recipe for Grandma’s Milk Tart, which is the real deal! Grease a 26 cm pie dish with butter and preheat the oven to 180 °C. Place the oven rack for baking just lower than the middle of the oven for best baking of this tart. Beat the egg whites until firm and gradually beat in the sugar to make a stiff meringue. Add the baking powder, salt and egg yolks and beat in very gently to combine. Mix the flour with 2 cups (500 ml) of the milk to make a smooth paste. Add the remaining milk, butter and flavouring and mix until a smooth batter is formed. Pour the batter into the bowl with the whipped mixture, blend gently until combined and pour into the pie dish. Sprinkle generously with cinnamon and bake 25 – 30 minutes or until set. Remove the tart from the oven and sprinkle with a little cinnamon sugar. Allow to cool and set before cutting into wedges. Recipe by Carolié’s de Koster. I could not believe my eyes when I came across this recipe of Dominique Ansel’s sought after Cronut® on the internet. 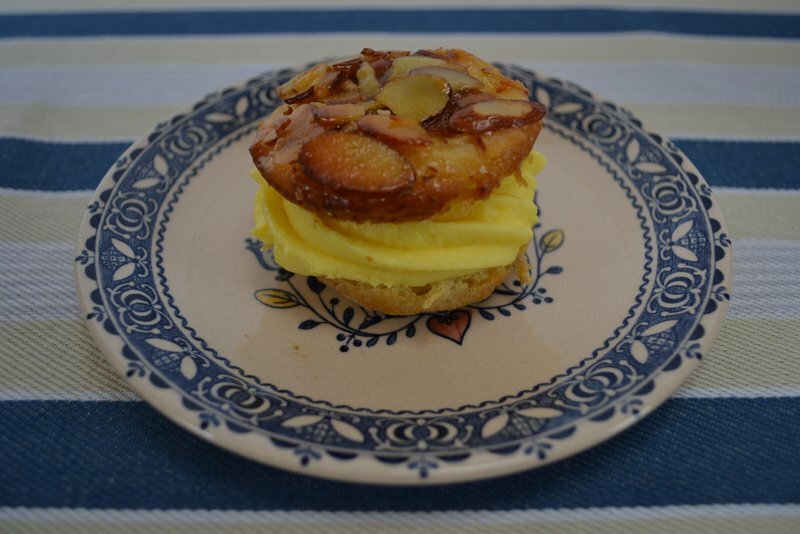 He developed this simplified version of this sought-after pastry for the home cook. 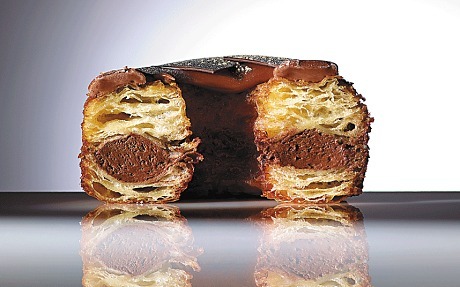 There are more cronut recipes in his first cookbook, “Dominique Ansel: The Secret Recipes”. Prepare the ganache two days before and refrigerate until needed. To make the ganache, combine the water, 26 g of the Champagne and the cocoa powder in a small bowl. Mix to a smooth paste. Combine the cream and the remaining 76 g Champagne in a small saucepan and bring to a boil over medium heat. Remove from the heat. Whisk the egg yolks and granulated sugar together in a small bowl. Stream one-third of the hot cream mixture into the egg yolks, whisking constantly until fully blended, to temper them. Whisk the tempered yolks into the remaining hot cream. Return the saucepan to medium heat. Keep whisking! Continue to cook the custard over medium heat until it reaches 85° C. The custard will turn pale yellow and thicken so that it coats the back of a spoon. Remove from the heat and whisk in the cocoa powder paste until fully incorporated. Place the chocolate in a medium heatproof bowl. Strain the custard through a small sieve over the chocolate. Let stand for 30 seconds. Whisk the chocolate and custard until smooth. When finished, the ganache will have the consistency of yoghurt. Reserve 50 g for the glaze. Cover with plastic wrap pressed directly onto the surface of the ganache, to prevent a skin from forming. Refrigerate overnight to set. To make the vanilla sugar, combine the sugar and flavouring in a small bowl, cover with cling wrap and set aside. To make the dough, combine the flour, salt, sugar, yeast, water, egg whites, butter and cream in a stand mixer fitted with a dough hook. Mix until just combined, about 3 minutes. When finished the dough will be rough and have very little gluten development. Lightly grease a medium bowl with cooking oil spray. Transfer the dough to the bowl. Cover with plastic wrap pressed directly on the surface of the dough, to prevent a skin from forming. Proof the dough in a warm spot until doubled in size, 2 to 3 hours. Remove the plastic wrap and punch down the dough by folding the edges into the centre, releasing as much of the gas as possible. On a piece of baking paper, shape into a 10-inch (25 cm) square. Transfer to a baking tray, still on the baking paper, and cover with plastic wrap. Refrigerate overnight. To make the butter block, draw a 18 cm square on a piece of baking paper with a pencil. Flip the paper over so that the butter won’t come in contact with the pencil marks. Place the butter in the centre of the square and spread it evenly with an offset spatula to fill the square. Refrigerate overnight. Remove the butter from the refrigerator. It should still be soft enough to bend slightly without cracking. If it is still too firm, lightly beat it with a rolling pin on a lightly floured work surface until it becomes pliable. Make sure to press the butter back to its original 18 cm square after working it. Remove the dough from the refrigerator, making sure it is very cold throughout. Place the dough on a floured work surface. Using the rolling pin, roll out the dough to a 25.5 cm square about 2.5 cm thick. Arrange the butter block in the centre of the dough so it looks like a diamond in the centre of the square (rotated 45 degrees, with the corners of the butter block facing the centre of the dough sides). Pull the corners of the dough up and over to the centre of the butter block. Pinch the seams of dough together to seal the butter inside. You should have a square slightly larger than the butter block. Fold the dough in half horizontally, making sure to line up the edges so you are left with a rectangle. Then fold the dough vertically. You should have a 25.5 cm square of dough with 4 layers. Wrap tightly in plastic wrap and refrigerate for 1 hour. Repeat steps 3 and 4. Cover tightly with plastic wrap and refrigerate overnight. Line a platter with several layers of paper towels for draining. Check that the oil is at the right temperature. If not, let it heat up again before frying the next batch. Continue until all of them are fried. Let cool completely before filling. To make the glaze, warm the fondant in a small bowl in the microwave in 10-second intervals, stirring between intervals. When the fondant is slightly warm, about 20 seconds, add the corresponding flavour and stir until fully blended. To assemble the cronuts, transfer the ganache to a stand mixer fitted with a whisk. Whip on high speed until the ganache is smooth. Cut the tip of a piping bag to snugly fit the Bismarck tip. Using a rubber spatula, place 2 large scoops of ganache in a piping bag so that it is one-third full. Push the ganache down toward the tip of the bag. Place the decorating sugar and glaze in a bowl. Arrange each of the pastries so that the flatter side is facing up. Inject the ganache through the top of the pastry in four different spots, evenly spaced. As you pipe the ganache, you should feel the pastry getting heavier in your hand. Pipe a ring of glaze around the top of each pastry, making sure to cover all the holes created from the filling. Keep in mind that the glaze will continue to spread slightly as it cools. Let the glaze set for about 15 minutes before serving. Serve at room temperature and consume within 8 hours of frying. Leftover ganache can be stored in a closed airtight container in the refrigerator for 2 days. Leftover flavoured sugar can keep in a closed airtight container for weeks and can be used to macerate fruits or sweeten drinks. (1) Instant yeast is often used for doughs with higher sugar content, because this yeast needs less water to react and sugar tends to pull water from dough. You can substitute the same quantity of active dry yeast, but may get a denser final product. (2) This is not the typical lamination technique and is unique to this recipe. When rolling out dough, you want to use as little flour as possible. The more flour you incorporate into the dough, the tougher it will be to roll out, and the pastries will flake apart when you fry them. (3) It is best to proof Cronut pastries in a warm, humid place. But if the proofing area is too warm, the butter will melt, so do not place the pastries on top of the oven or near another direct source of heat. (4) The temperature of the oil is very important to the frying process. If it is too low, the pastries will be greasy; too high, the inside will be undercooked while the outside is burnt.